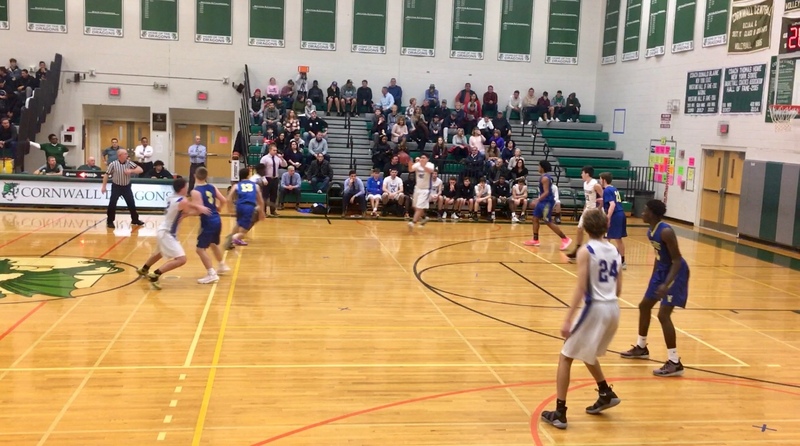 NEW WINDSOR — The Washingtonville boys basketball team is looking better than they ever have before. They improved to 6-0 with a 66-46 win against Wallkill in the Glen McGinnis tournament semifinal. They were led in scoring by Ryan Graham (16), Kareem Lubin (12), & Romeo Aquino (10). “I thought we played well today. Definitely the best game we’ve played in terms of fundamentals,” said Graham. 16 points doesn’t properly describe how he played. Graham was scavenger-like in their full-court press with four steals. Wallkill had 10 turnovers in the first half, seven of which came in the Wizards press defense. The Wizards went on an 11-1 run to begin the second quarter, and led 37-24 at halftime. By the end of the the third quarter, they were up by 24 points. The Panthers played a 2-3 zone defense in the first half, which Washingtonville knew was a possibility. They countered it nicely with perimeter ball-movement and looks in the paint. Hendricks had nine points and five steals in what many would call his best game of the season. Wallkill star freshman Mat Shea was held to just nine points on 4/12 shooting, freshman guard Kyle Krebs also added nine points for the Panthers (3-3). Their 6-0 start is the best in team history. They’ve never started the season with more than two consecutive wins. Rose added that the teams success so far is due to the dedication of his team. “We’re staying focused,” added Rose. We’re focusing on the internals and not the externals. We don’t care about our rankings, we don’t care who we play. We care about the things we control on the court like our defense, our ball-movement and our effort. The Wizards advance to the final versus Monroe-Woodbury tomorrow at 4:30 p.m. Monroe-Woodbury beat Cornwall 49-45 later Thursday evening. Washingtonville seeks to win its first Glen McGinnis tournament since 2015.